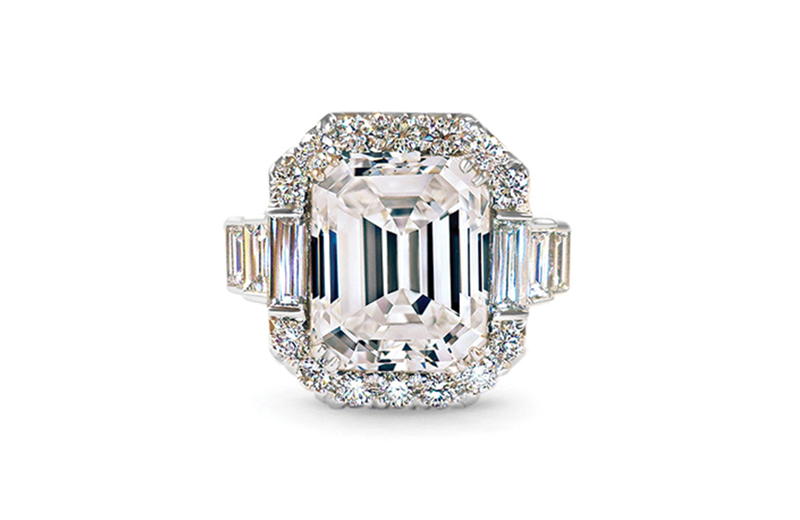 The Allure Emerald Cut engagement ring has been meticulously designed to showcase maximum diamond brilliance. 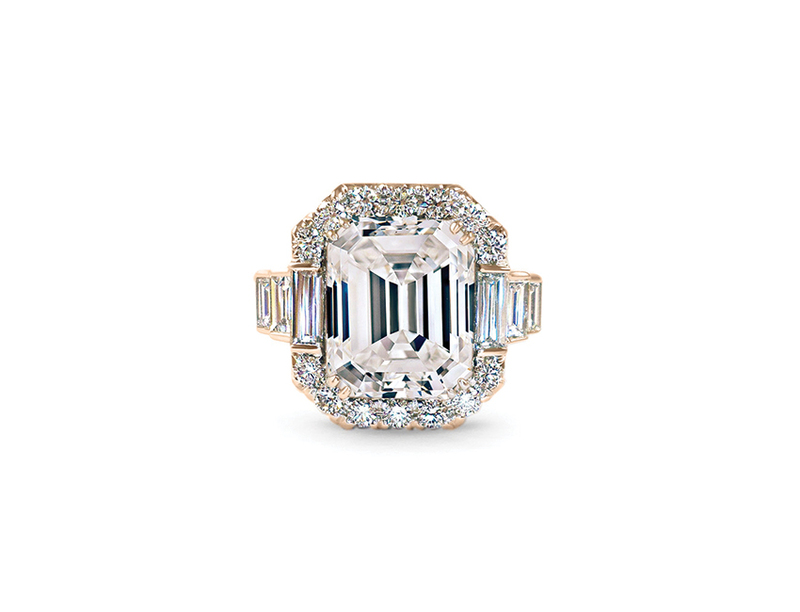 The central diamond is held in place by four sets of double claw prongs and surrounded by round brilliant pavé and straight baguette diamonds. 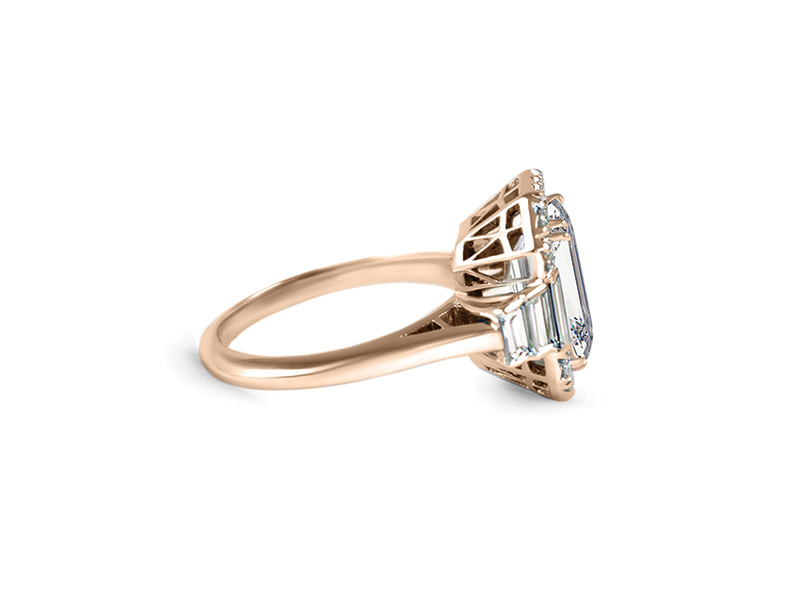 The geometric window lattice beneath the stone allows for light to reflect throughout the ring. 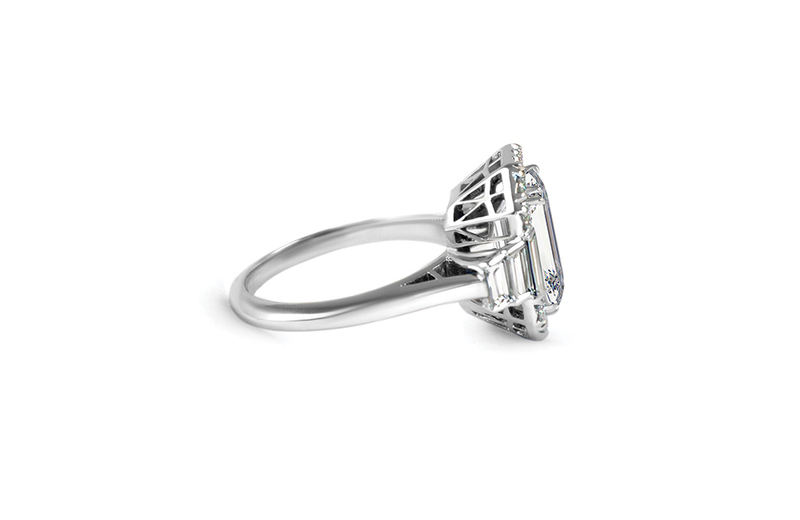 The silhouette is reminiscent of the Art Deco era, but thoroughly timeless in its beauty. Each and every diamond is rare and unique in it’s own way. So is your love story. We work exclusively with the most acclaimed and ethical diamond dealers in the country searching for the perfect diamond or gemstone to match your budget. We don’t keep any inventory on hand so we are unbiased on the selection we choose for you. Every Scout Mandolin design is handcrafted and custom-made to order. Once we review all of your ideas, drawings, and images we will provide a detailed sketch of the basic concept. At this point you will receive an estimate catered to your budget so there will be no surprises. Once you approve the design we will make a 3-D computerized CAD model, which displays multi-angled renderings of your piece, using the exact dimensions of your diamond or gemstones. You will be able to make any final changes before we cast in your choice of metal. Upon your final approval, we will move forward with the 3-D wax printing of your piece. Our team will then cast your design in the precious metal of your choice. 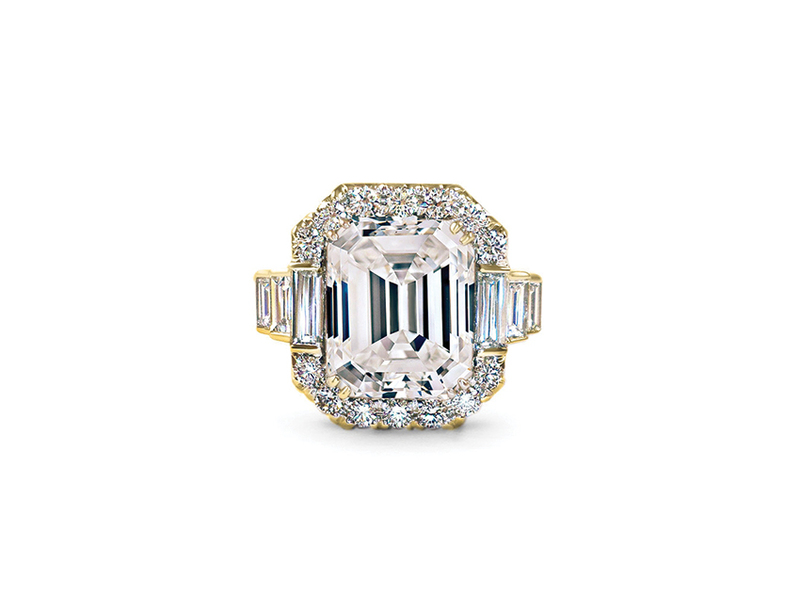 Our master diamond setters and bench jewelers will meticulously set each stone, laser assemble, and polish your new heirloom to a pristine finish. We use the finest quality of precision cut VS quality melee (accent stones) on all of our designs which makes insures that your jewelry will sparkle with brilliance. Each design is handcrafted in San Diego, California in our workshop by our talented jewelers with over 75 years of experience. All Scout Mandolin designs take approximately around 3-4 weeks to be completed. We do our very best to accommodate any rush orders. Your custom piece will then come with a complimentary appraisal. We supply professional photography of your ring with a seal of appraisal which is all you will need if you choose to get this custom heirloom insured.